Adam Fisher--regular contributor to Wired, MIT Technology Review, and The New York TimesMagazine--discusses his fascinating debut book. 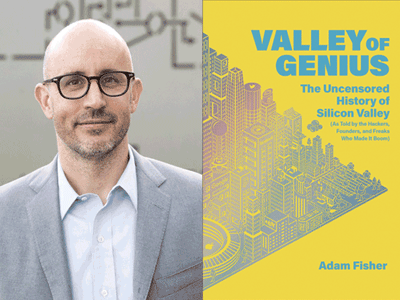 Valley of Genius: The Uncensored History of Silicon Valley (as Told by the Hackers, Founders, and Freaks Who Made It Boom). Adam will be in conversation with Ashlee Vance, prominent technology journalist and author of Elon Musk: Tesla, Spacex, and the Quest for a Fantastic Future. A candid, colorful, and comprehensive oral history that reveals the secrets of Silicon Valley -- from the origins of Apple and Atari to the present day clashes of Google and Facebook, and all the start-ups and disruptions that happened along the way.